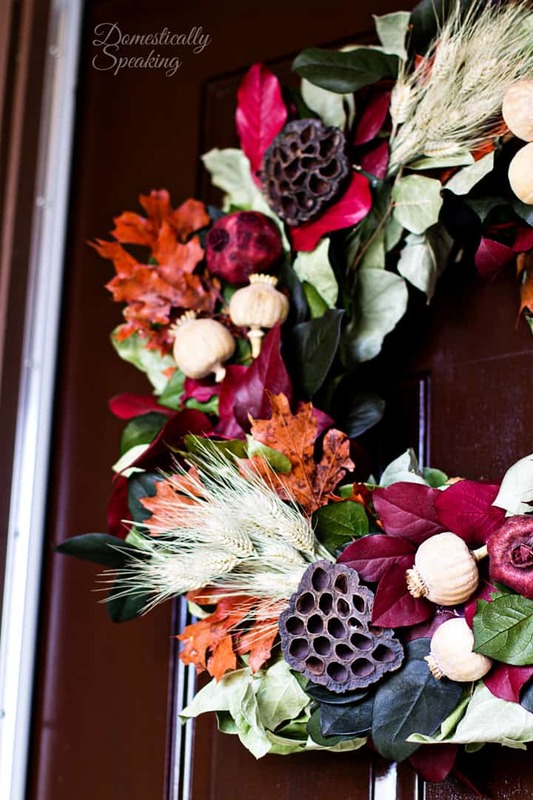 You are here: Home / All Things Creative / Beautiful Autumn Wreath and 3 Wreath Giveaway! Thank you The Wreath Depot for supplying me with this gorgeous wreath, as always all opinions are my own. I love the Pomegranates, Brown Eucalyptus and Preserved Boxwood. Such a gorgeous combo of all the colors. 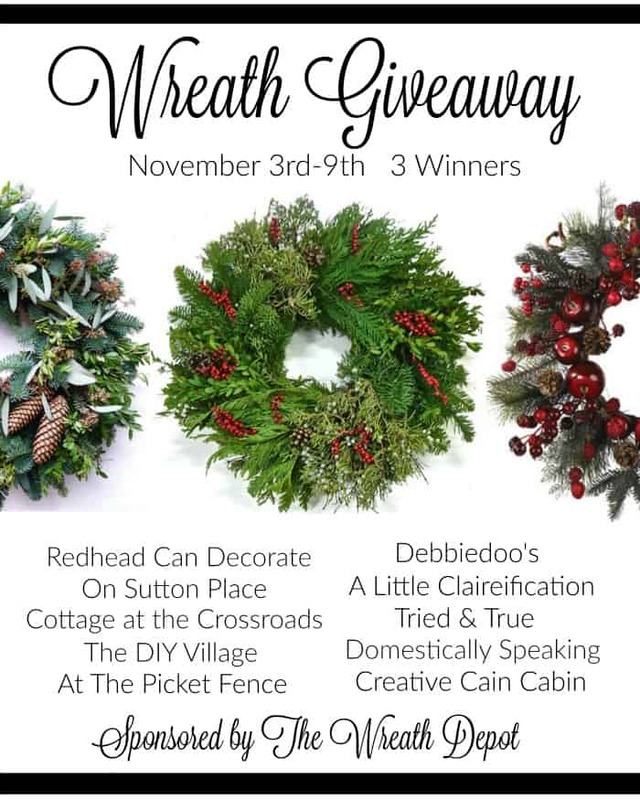 And 3 lucky winners are going to get a wreath too! I would pick the Dorset Pine Cone And Ornament Decorated Silk Christmas Wreath. They are all beautiful though. I really like the Dorset Pine Cone And Ornament Decorated Silk Christmas Wreath, colorful and beautiful! 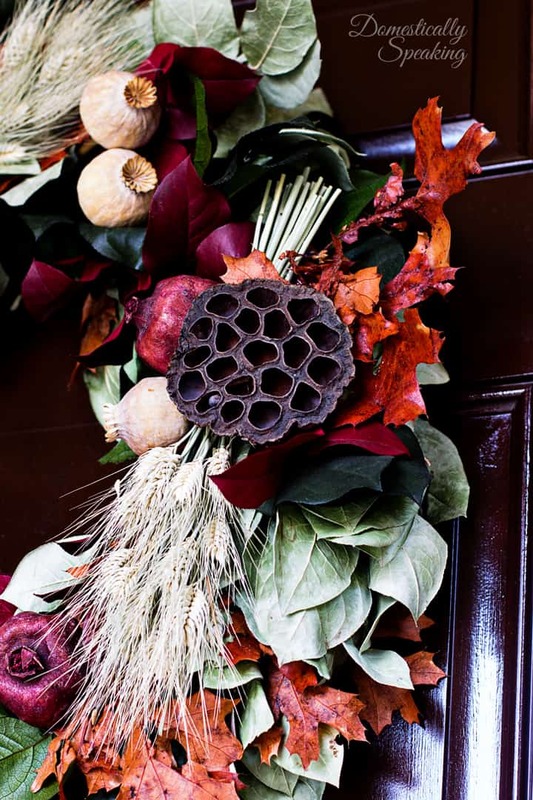 All of the wreaths are spectacular and extremely difficult to choose just one, but I would have to say that the Willowdale silk spring door wreath, the Auborn Red berry and the All Seson Adiorndack silk door wreaths would have to be some faves. All of the wreaths are just stunning!! It would be so hard to pick just one, The All Season Adirondack door wreath, the Auborn Red Berry and the Willowdale Silk Spring door wreaths would have to be some faves. I really like the White Dried Christmas Wreath. How can I pick just one? They are all beautiful! I would choose the Princeton Holiday Christmas Wreath – 24 inch. Love the classic lavender wreath! The vintage jingle bell is my fave…..that and the jingle bell swag. Choosing one would be hard! They are awesome! I’m love the jingle bells wreath. Thanks for the giveaway. 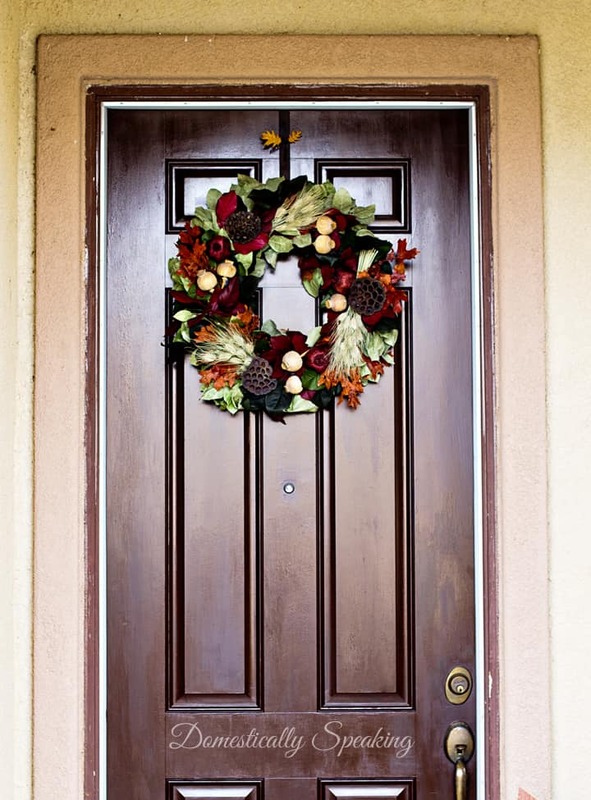 If I were the lucky winner, I would choose the Oakhurst Silk Front Door Fall Wreath. It’s bright and cheerful but still perfect for fall. To pick just one of these wreaths is very hard. They are all so beautiful! I do really love the Auburn Red Berry Silk Winter Door Wreath.